This is a condition which is characterized by episodes of relentless vomiting with no obvious cause. The episodes may last for more than a few hours or days with fairly symptom free periods of time. Each episode is similar to the previous ones, which means that the episodes tend to start at the same time of the day, last for the same period of time, occur with the same symptoms and level of intensity. CVS occurs in all age groups. Research has shown that CVS may affect 2% of school aged children and that the number of cases diagnosed in adults is increasing. Cyclic vomiting syndrome may also be related to migraines. 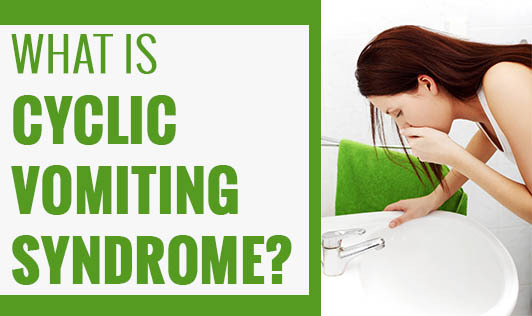 It is difficult to identify because vomiting is a symptom of many disorders. Most people know what triggers their CVS episodes and avoiding these triggers can reduce the occurrence of episodes. If episodes occur for more than a week even with self-care measures, please contact your doctor at the earliest!